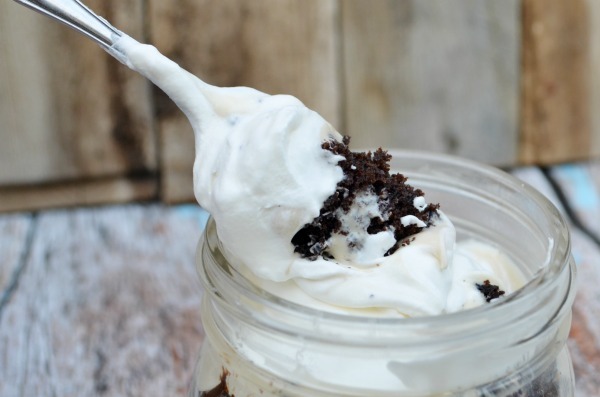 This Mocha Cheesecake Trifle recipe is a sponsored collaboration with Shamrock Farms. All hunger and thirst induced thoughts are my own. 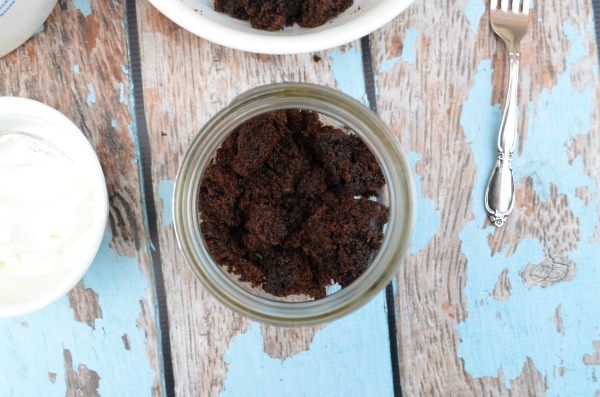 Are you ready to dig into this delicious no-bake trifle recipe? Coffee is a big deal in my house, BIG! My husband is a daily drinker and cold brew just happens to fill his cup at least once a day. So for this sweet treat I decided to give them a boost with Shamrock Farms new line of ready to drink Cold Brew Coffee and Milk. It’s a delicious combination of 100% Colombian coffee, fresh Shamrock Farms milk, and real cane sugar. I’m a big fan of no-bake desserts. Who doesn’t enjoy layers of moist cake and creamy filling?. What’s even better is I didn’t have to wait for a cup of coffee to brew and cool. All I needed was a few supplies and Shamrock Cold Brew Coffee and Milk found in my local grocers refrigerator case, right next to the juice. With 3 varieties to choose from: Original, Mocha and Vanilla; you can customize this mocha cheesecake trifle to your liking. 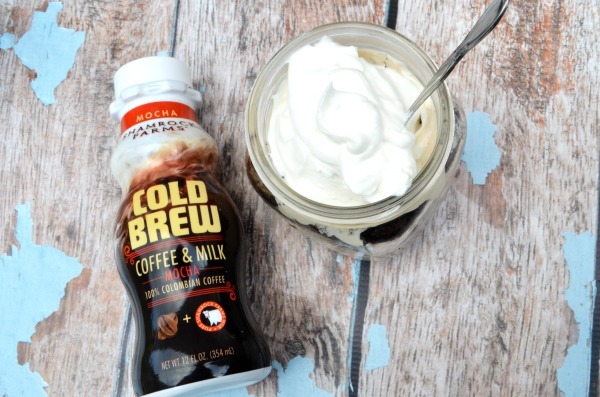 Get ready to assemble an easy make ahead treat with this smooth and slightly sweet Shamrock Farms Cold Brew Coffee and Milk. 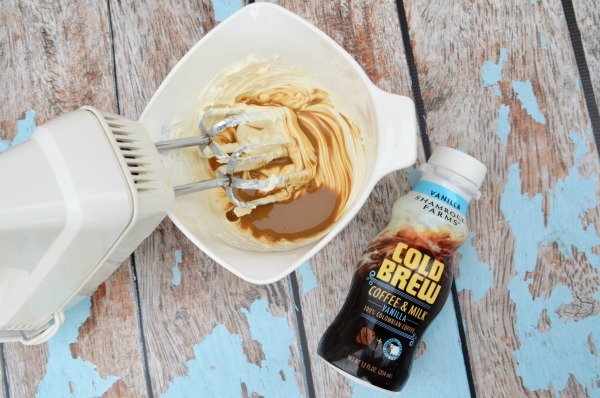 Mix together cream cheese, Cold Brew Coffee and Milk, and powdered sugar. Chop cupcakes or cake into cubes. 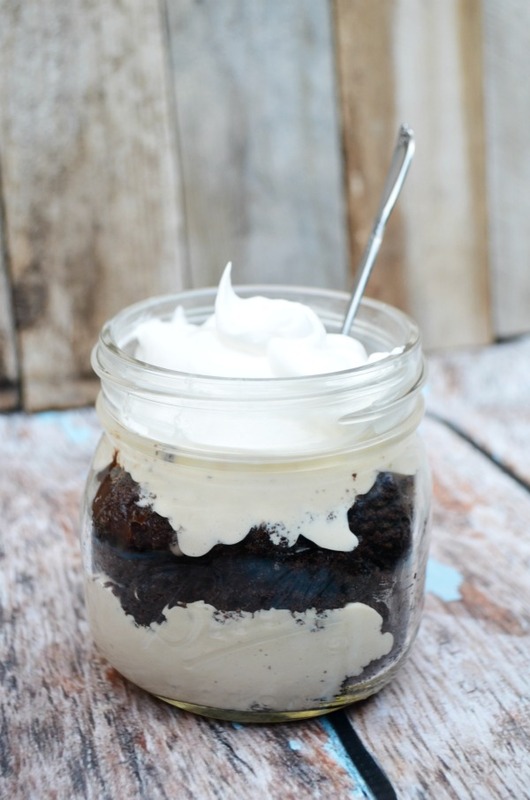 Layer small mason jar with cake. For this trifle I used two unfrosted cupcakes. 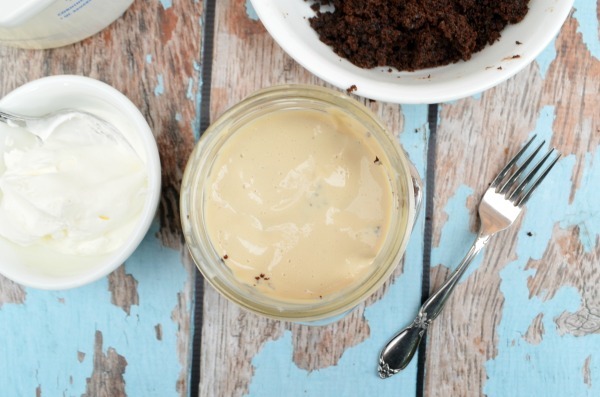 Top with cold brew cream cheese mixture. 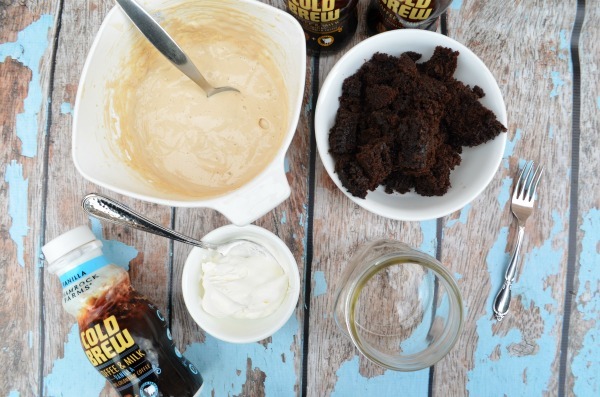 Add an additional layer of cake and cold brew cream cheese. Finish with a dollop of fresh whipped cream. Then, serve right away or keep chilled in the fridge until ready. 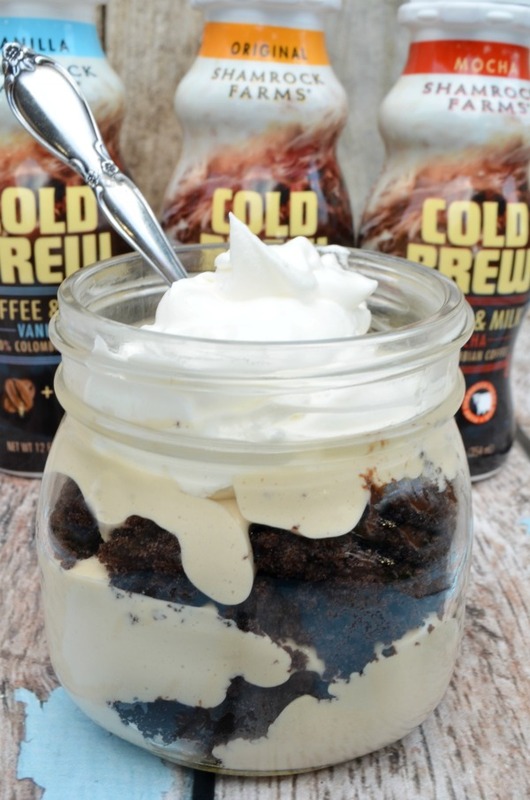 Swap out cake for your favorite chocolate muffin, the cream cheese mixture for greek yogurt, and pair with your favorite Cold Brew and Milk for the perfect boost to your morning. With twice the caffeine of regular coffee it’s got the jolt you need for an energized morning. Grab NEW Shamrock Farms Cold Brew Coffee and Milk now at: Bashas, AJ’s Fine Foods, Safeway, Albertson’s, Sprouts and Quik Trip. Connect with Shamrock Farms on Twitter and Facebook for updates on new products and offerings.